Mushrooms are a quirky vegetable. You find them growing in your lawn, and on trees and logs in the woods. Did you ever wonder how farmers grow them? It’s certainly an interesting process and probably not what you expect. We visited Green Heron Growers and talked to owners Steve and Julie Rockcastle to learn how it’s done. Their 400-acre farm, located in Chautauqua County between the towns of Panama and Sherman, is certified organic. Green Heron grows and sells shiitake mushrooms. But that isn’t all, they also offer 100% grass-fed beef; non-GMO, pasture-raised pork; organic chicken; vegetables; maple syrup; and value added items, such as shiitake hazelnut pâté and maple-ginger beef jerky. To grow their shiitake mushrooms they plant mycelium spawn in the month of May. The first step is to find the right wood — hardwood is what is used (3 foot long by 3” – 10” across). Next, holes are drilled in the logs so the mycelium spawn can be planted — it’s known as inoculation. The spawn are typically mixed with sawdust and planted in the holes. Holes are then covered with hot wax so the spawn can colonize. There needs to be a certain distance between the holes to give the mushrooms room to grow — the logs look like they’re covered in polka dots, when it’s done. The logs are then are stored outdoors, crisscrossed into square towers (crib stacked), which look like cubes. The towers need to be built in a shady, humid location, close to the ground (but not on it) and they shouldn’t be built too high. The folks at Green Heron aren’t just growers though, they also hold several summer music events, most notably, The Great Blue Heron Music Festival, The Great Rhythm Revival, and Night Lights Music Festival. In addition, they offer farm workshops, tours and serve as a venue for weddings and family reunions. 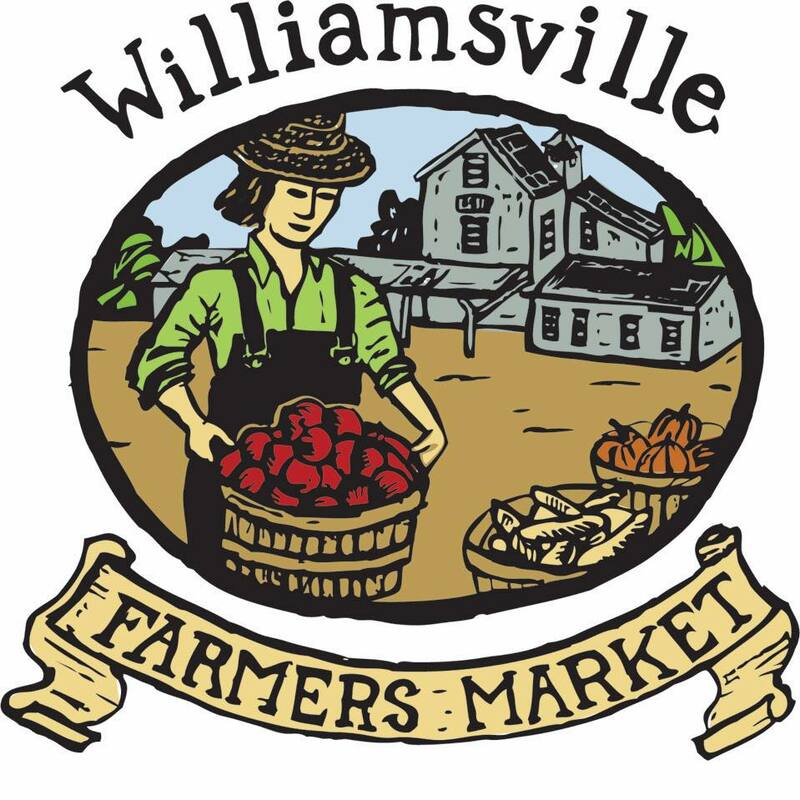 Stop in at their booth at the Williamsville Farmers Market or at their self-serve farm store in Sherman, NY.